As Chief Creative Officer of Raf & Mike, Rafael works with local and multinational brands in order to create and deliver the best brand experiences possible. Rafael doesn’t believe in agency medium specialization, meaning focusing his ad agency on being digital, BTL, or traditional, etc. - he says his agency focuses first on the brand. More than an advertiser, he considers himself an “experience designer”. Rafael started his career in advertising working as a copywriter at J. Walter Thompson (JWT) Colombia, where he truly discovered and fell in love with the world of advertising. 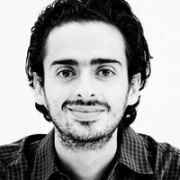 He was then offered the position as Creative Director at Mejía Asociados, a small Below The Line (BTL) agency in Bogotá. Through solid creative work, the agency grew exponentially into one of the biggest BTL agencies in Colombia, winning clients such as Coca-Cola, Unilever, SAB Miller, and the Colombian Football Federation, amongst others. “Raf” won multiple creative awards in Buenos Aires, Argentina, and got the chance to lead and design the creative and media campaign for the FIFA U-20 World Cup Colombia. While attending his EMBA at the Berlin School, Rafael started his own advertising agency, Raf & Mike. Today as a Berlin School alumnus, if he were to sum up his school experience in one word, he says excitedly: “empowerment” - his agency being the best testament to this.